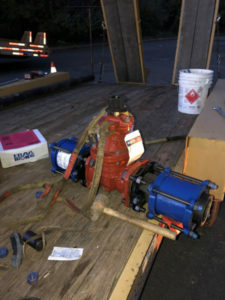 We were recently contracted to install a 6” water line valve, which allows for the shutoff of water to the building. 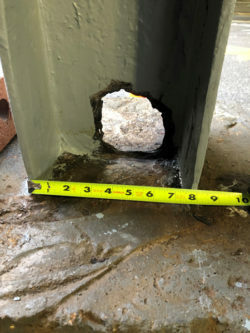 Our initial site inspection revealed that the original valve was not mechanically anchored to the main water line, so we dug up the line install brackets, which were bolted to the pipe, and poured concrete around the pipe and clamps to create a mechanical anchor. 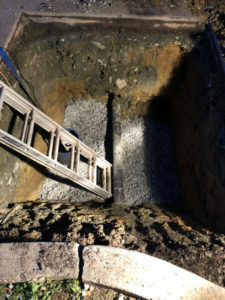 Twenty-eight days later, after the concrete had cured, another hole was dug, away from the newly installed anchor, and a section of the pipe was cut out. 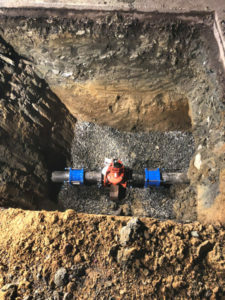 Had we not installed the anchor, when the pipe section was cut out, the water pressure may have pushed the faulty original valve off the main line, leaving no way to shut the water off. Once the section of pipe was removed, we installed the new valve along with a valve cover dog house. 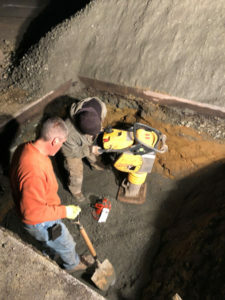 The final steps were to back fill, using compacted DGA (dense grade aggregate) stone, install 4″ of I-2 base asphalt mix, and finish with 2″ of I-5 top asphalt mix. The entire job was done after hours so as not to disturb the tenants in the building. CRI provides dedicated services supporting construction, electrical, industrial facilities, energy, and water management companies. For information in any of these areas, call CRI, at 908-797-2305, or submit an online form to request an estimate or receive answers to general questions. 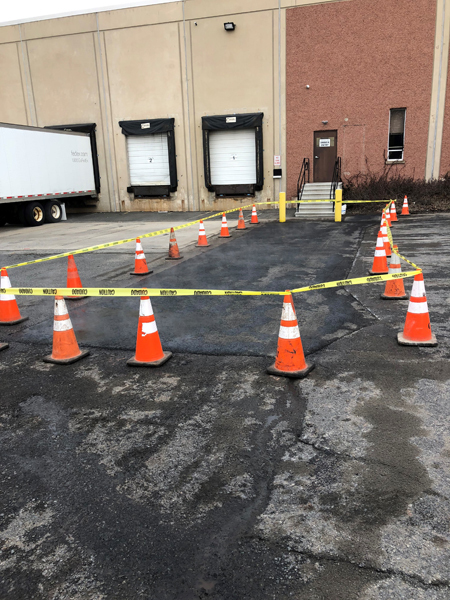 Colucci Realty was recently contracted to remove a landscaped island that prevented trucks from getting into the loading dock. To begin, we removed and disposed of the concrete curb, along with the trees and fill contained within the island. Once the construction site was cleared and prepped, 4″ of DGA (dense grade aggregate) stone was installed and compacted. On top of that was layered 4″ of I-2 base asphalt mix, which is a compacted mixture of both aggregates and asphalt cement. Finally 2″ of I-5 top asphalt mix was installed and the area was coned off, as shown in the photos below. 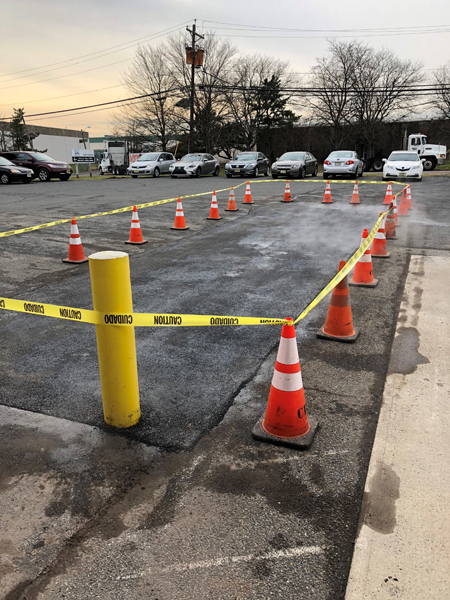 For information on installing, repairing, or removing asphalt or concrete, call CRI, at 908-797-2305, or submit an online form to request an estimate or receive answers to general questions. Curious about the pros & cons of concrete vs. asphalt? Check out our post Comparing Concrete vs. Asphalt. What are the advantages of concrete vs. asphalt? How do the initial installation and ongoing maintenance costs differ? Is asphalt or concrete the best choice for my project? You have questions… We have answers! First, before examining the differences, let’s look at the similarities. Concrete and asphalt both require compacted bases of gravel before they are applied. Both take time to ‘cure’ before they can be driven on but, whereas concrete can take up to 21 days to come to 95% strength, asphalt only takes a few hours. Interestingly, although they look very different, both are made from the same general material; i.e. stone and sand. The difference in their appearance is due to the adhesive used for bonding; in asphalt it is tar and in concrete its cement. That difference is what not only gives asphalt and concrete their unique characteristics but also affects the difference in cost, durability and maintenance. Concrete, allows for a variety of finishes, which can also be stained or tinted to a wide variety of colors and patterns. In addition, concrete can be stamped into different designs, etched, or engraved. Asphalt, on the other hand, due to how it is applied (i.e. rolled and compressed), has very little in the way of unique finishes. But, although black asphalt is pretty much the standard, there are tints that can be added either during mixing or to the sealant. In addition, there are also a few patterns that can be rolled to create a design in asphalt. 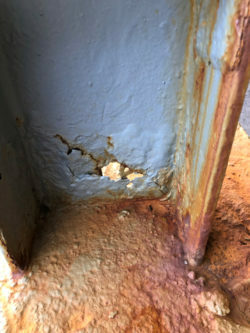 Cold, freezing winters can cause a number of issues with concrete, such as cracking and frost heaving. And the associated use of salts for ice control can damage the appearance of concrete. * At the other end of the spectrum, the tar in asphalt can become soft during hot summers, becoming tacky and possibly even deforming. Climate is a very important factor when deciding to use either asphalt or concrete and one that should be discussed with a reputable, knowledgeable contractor. *Learn how salts used for ice control can cause significant damage to porous concrete. A properly installed asphalt project, depending on the sub base installation and type usage, is usually only good for 20 years or less and must be maintained over that lifespan; i.e. it must be sealed every 3-5 years. 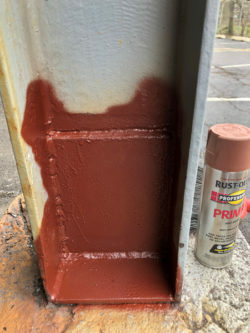 It is not necessary to seal concrete but doing so can preserve the look and finish, and help guard against oil-based stains. Asphalt pricing is subject to variations in the price of crude oil but will generally fall into a range between $2.50 & $4.00 per square foot. By comparison, a basic concrete installation is in the range of $4 to $6 per square foot. However, concrete, with a longer life expectancy and less required maintenance, is usually the more economical choice. The thickness of each material also impacts the price; e.g. 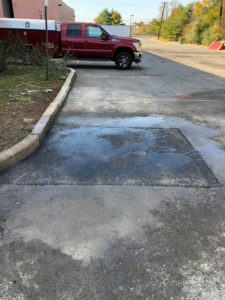 an asphalt overlay can be as thin as 2″ or, as in the case of a truck driveway, as thick as 8″, and concrete can be as thin as 4″ or, for installations such as truck pads, as thick as 8″. In addition to the above, other important factors, specific to each unique project, must be considered before making an informed decision; e.g. the specific use of the surface, the condition of the subbase, area restrictions, regulations, etc. And, once the asphalt-or-concrete decision is made, there’s another round of comparative details to consider, as there are many types of asphalt mixes that are appropriate depending on the situation, and there are a variety concrete types and strengths, from a slurry mix used as a fill mix, to a high early mix that is appropriate for situations such as a highway bridge repair and can be driven on in a couple of hours. Need more information or assistance in making the best decision? Contact us to discuss, and receive a quote on, your project. 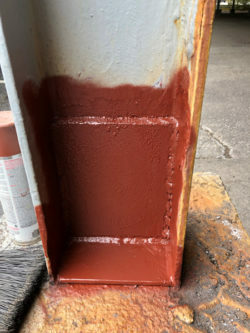 The dictionary defines concrete as a heavy, rough building material made from a mixture of broken stone or gravel, sand, cement, and water, that can be spread or poured into molds and that forms a stone-like mass on hardening. But, while technically correct, it barely scratches the surface of this remarkable material’s flexibility and myriad uses. The Ancient Romans were the first to develop concrete as a building material. They accomplished this by mixing lime, water, and volcanic ash. 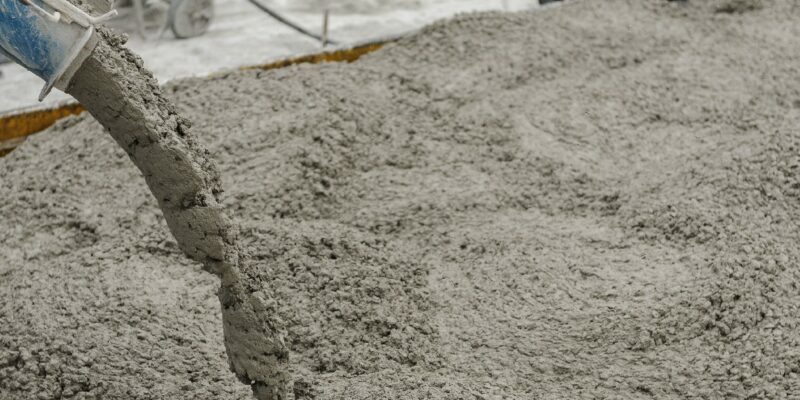 Cement is one of the main ingredients in concrete, and over 2 billion tons of cement is produced each year. The Venetian in Las Vegas held the U.S. record for largest continuous concrete foundation pour with 21,000 cubic yards. However, in February 2014, the Wilshire Grand Center in Los Angeles beat that record with a continuous pour of 21,200 cubic yards! 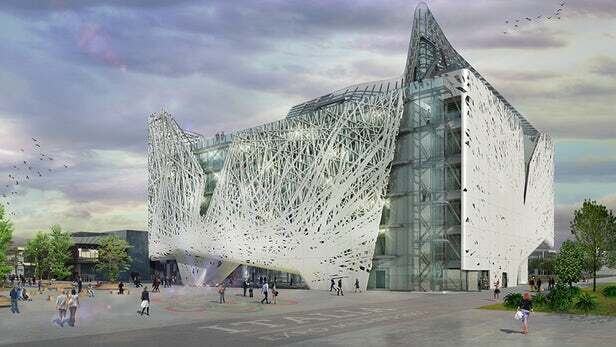 Concrete is used more than any other man-made material on the planet. Thomas Edison held 49 patents related to concrete. He experimented with concrete houses and concrete furniture. Concrete furniture?! Imagine binge-watching Netflix on a concrete couch! The Pantheon was built using concrete, and it’s still the world’s largest unreinforced concrete dome. About 6 billion cubic meters of concrete is made each year, which equals one cubic meter for every person on Earth. A natural deposit of cement rock was discovered in 1796 by the English. They quarried the material and sold it as Roman Cement. Three Gorges Dam in China is the largest concrete structure in the world, standing at 607 feet high and 7,575 feet long. In 1909, the first modern concrete road was built on Woodward Avenue between Six and Seven Mile Roads in Greenfield Township, now northwest Detroit. For more information on our concrete installation and removal services, please call Colucci Realty at 908.782.3910.